Rusk County Amateur Radio Club: What'd you get for Christmas? Well, another Christmas has come and gone. But what was left in its wake? Here's a sampling of what some local hams got. Did you get something too?? Send me a photo (send it to w5cwt with the domain part being @ruskcountyar.com) and I'll add it to the list! NU5G got a leg up this year! 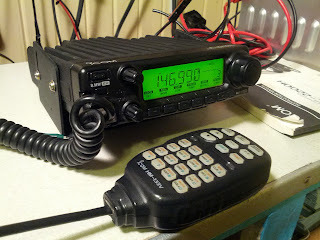 W5CWT got a new 2m mobile and is ordering a new HF vertical antenna! 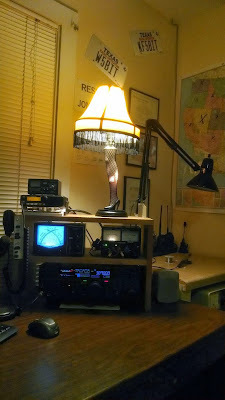 Creative solution for portable radials!